San Francisco, CA – June 7, 2014 – Jason McDonald (https://www.jasonmcdonald.org), a top San Francisco Social Media expert, is proud to announce increased interest in his trainings, classes, and workshops on social media marketing throughout the San Francisco Bay Area this summer. Dr. McDonald is teaching not only at AcademyX in San Francisco but also at Stanford University Continuing Studies. Many San Francisco businesses from restaurants to bars to chiropractors to dentists to lawyers rely on inbound marketing from sites such as Yelp or Google+ Local. Customers, especially in a tech-savvy city like San Francisco, often turn first to a Google or Yelp search to find the ‘best’ chiropractor or the ‘best’ Chinese restaurant in the Castro district. Businesses need SEO audit services to review their current search engine optimization and the social media marketing efforts that can boost their brand image, increase their positive reviews, and enhance their visibility across these web sites. Social media marketing combines the SEO (search engine optimization) with the use of Twitter, Facebook, LinkedIn, Yelp and other platforms to build positive buzz and brand image around a business. The trick is to realize that one’s strategy should not be either SEO or social media marketing but rather both SEO and social media marketing. Dr. Jason McDonald is a recognized SEO and Social Media expert consultant in based in the San Francisco Bay Area / Silicon Valley. Dr. McDonald received his Ph.D. from the University of California in 1992, and has worked at many hi-tech start up’s in the San Francisco Bay Area. 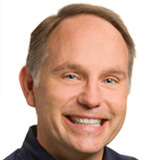 In addition, Dr. McDonald is Senior Editor at eg3.com, a web portal and email service covering hi-tech embedded systems on the Internet, founded in 1994. Recently, Dr. McDonald has begun teaching marketing, market research and Internet marketing at Bay Area institutions such as AcademyX and DeVry University. Dr. McDonald can be found on the Internet at https://www.jasonmcdonald.org, a website focused on search engine marketing, SEO, and other Internet marketing issues with in-depth free information on SEO, Page Tags, Google Analytics, Metrics, Link building, Free SEO Tools and more. He can also be contacted by telephone at +1-415-655-1071 or email, jasonmcdonald.blog@gmail.com. Every so often, I am fortunate enough to teach social media marketing at AcademyX in San Francisco. I just completed the intense two-day course, yesterday. It was a small course, with two wonderful students – one, working for a San Francisco-based for-profit business and another working for a San Francisco non-profit. I teach social media marketing in many venues – online, in San Francisco, and at Stanford. In San Francisco, I get a mix of for profit, entrepreneurial types as well as non-profits. It is the non-profits that are unusual; as I get many for profits in the other venues. The “mission” of a non-profit is much broader than that of a for-profit (which simply wants to make money). Usually a non-profit is seeking to “change the world” or “make the world a better place” in some way, shape, or form… but this impacts its keyword choices for SEO and the keyword choices that determine which social media conversations it wants to influence. Non-profits often tug on the heart strings, and thereby have more opportunities for social sharing and even viral videos. We watched the emotional ‘Dear Future Mom,” video and discussed how a non-profit can use video to spread its message. Non-profits have many stakeholders: donors, employees / contractors, and the people it is seeking to help. Each stakeholder has its own interests and agenda. Non-profits do not have a firm measurable goal (aka “Make money”) as do for-profits. In sum, social media marketing for a non-profit is both more challenging and more open to opportunities than that of a for-profit. Even more interesting, for profit companies can learn some interesting strategies from non-profits, such as the use of emotion to spread images and videos across social media. For profit or non profit, either way – social media marketing offers you many, many opportunities. If you are either, reach out to me, for a consult on how I can help. ClickZ Live San Francisco – Hype, Hope or Hopping? 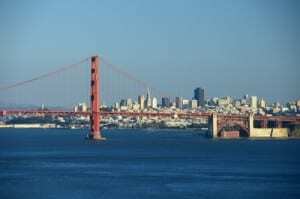 ClickZ live (formerly SES) will be coming to San Francisco on August 11-14, 2014. When this show was SES (Search Engine Strategies), it focused largely on the technical aspects of Search Engine Optimization and was a direct competitor to the SMX conference, PubCon, and the MOZ conferences. Now, they’ve broadened it’s scope, making it more like the DMA Association show (Direct Marketing Association). Are you going? I’m not sure if I’ll even go. There is only one track on SEO now, and most of it seems either very basic or very hyped. For example, there’s an overview to Panda, Penguin and Hummingbird (but the question is can you really learn that much in a session that you can’t learn better, faster, and cheaper via the blogosphere? ), and then there’s a session called “Assess, Diagnose, Fix: How to Become a Leading SEO Mechanic,” which sounds both very hyped and very basic. And the prices? Yikes! An All access pass is $2395.00! That’s pretty pricey for a show which seems to have only about 1/2 content that is really serious and technical. On the positive side, they do have some sessions on email marketing, social media, and other aspects of Internet marketing that are incredibly important. So will the show by hype, hope, or hopping? I can’t say. I don’ think I’ll actually attend; I’ll be saving my money for SMX, which seems like the best show these days on Search Engine Optimization. What do you think? Learn more about ClickZ San Francisco. Berkeley, oh Berkeley. Recently, I conducted an SEO Workshop for a group of HVAC (Heating and Air Conditioning) companies in Napa, California. We went through the basics of SEO – why your keywords matter, page tags, link building, and even the importance of Google Local and Yelp for succeeding at local SEO. Everything, they say is local. Fortunately, everyone who took the workshop seemed to get something out of it. I always try to make my workshops as practical as possible – to give the participants concrete “todos” to take home, and implement. I always walked away from so many trade show keynote addresses at the major SEO shows like ClickZ, Search Engine Strategies, or PubCon with a GEE WOW feeling and then when I got home GEE NOTHING… nothing concrete I could actually implement. And yet success at SEO is really not just about knowledge – it’s also about implementation. So back to Berkeley. 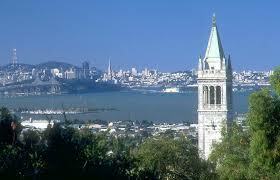 I have my Ph.D. from Berkeley, and consider it one of my favorite places on Earth. The town is full of motivated, intelligent, incredible people and the “spirit” of the University of California is one of learning before pomp and circumstance, of knowledge before social standing, of openness and honesty. I graduated from Harvard, but I love Berkeley. Berkeley is very much about great intellect, and practical knowledge. About learning, and about doing. It’s not enough to understand the world… one must change it. That’s the Berkeley spirit, and something I take with me towards my chosen occupation of teaching people search engine optimization and social media marketing. Then – oh then – while I was sitting in my car at a stop light, I was hit by a drug-induced motorcycle rider – slam, bam, thank you mam. Long story short: hit and run. Back to reality, back to the real world – which like SEO – can be very very rough and tumble. Yesterday, was my debut on the witness stand as a “social media expert witness” at my first trial. Now, I have actually done quite a bit of expert witness work, but nothing has ever gone as far as trial. Of course I can’t share any confidential details of the trial, but here are some random thoughts about being an expert witness and San Francisco in general. Thought #1. Don’t be nervous. There’s the judge, the jury, and the opposing counsel. It could be perceived as quite intimidating… but then – again – I am the expert on the subject, and if one approaches court with a positive attitude, as a social institution that is really trying to “get to the truth” (admittedly in an adversarial system), then what’s there to be nervous about? As long as you are telling the truth, and doing your best to research and investigate that truth – then really, being an expert witness is very much like being a teacher. So no need to be nervous! Thought #2. 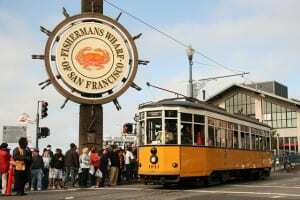 Viva San Francisco! This trial was at the Superior Court in downtown San Francisco. While waiting to be called as a witness, I had a “front row” seat and a next-to-the-person seat next to many people doing their jobs at San Francisco Superior Court. There were a lot of plea bargains going on there, and San Francisco is just a very, very lively city. So if you are ever bored, pop into Superior Court and just hang out. It’s like a 24 hour soap opera – believe me. Thought #3. Viva Wi-Fi. The free public Wi-Fi in San Francisco is amazing, and made the long wait to be called as an expert witness bearable. Now there are many, many factual and research details about being a social media expert witness… but those are three thoughts on my half day in San Francisco Superior Court. 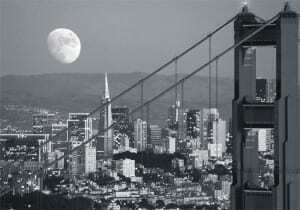 San Francisco, CA – June 7, 2014 – Jason McDonald (https://www.jasonmcdonald.org), a top San Francisco SEO expert, is proud to announce a major upgrade to his website and increased services for WordPress SEO for San Francisco Bay Area businesses. As a top Bay Area consultant in SEO and Social Media marketing, Jason McDonald is endorsing the WordPress platform as his preferred choice for search engine optimization services. WordPress is an excellent platform for the delivery of these services, both at a local level and more generally at the level of Search Engine Optimizations. Efforts to increase local SEO must be done in a positive manner, in accordance with industry best practices for social media marketing. The new services by Jason McDonald include a preliminary audit of the company’s standing and then step-by-step consulting to improve the standing of a business on local SEO sites. Well, it’s June 5, 2014, and I’ve finally upgraded JasonMcDonald.org to WordPress! What do they say? The cobbler’s children have no shoes. I have been a fan of WordPress for some time now, and let me list the reasons. 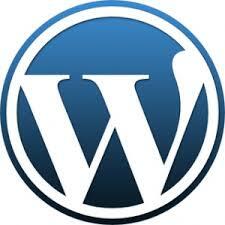 First, WordPress is a CMS (content management system), which allows you to really – well – manage content. So you can have pages and posts, and multiple authors. That allows a lot of flexibility when it comes to website content. Second, WordPress splits the visual design issues of the website from the HMTL coding and the content issues. So your “content people” can create content and your “graphics people” can create graphics. Third, WordPress has a wealth of plug in’s such as the Yoast plug in for SEO (which I am using here). The plug in for WordPress are phenomenal – plugins for SEO, for social media, and for Google AdWords. All pretty much at the click of a button, and most with very robust free versions. Finally, WordPress is a blogging platform, so it makes it easy and fast to blog. I plan to blog more on the site, about SEO, about social media marketing, about AdWords and about the San Francisco Bay Area. Welcome friends, family and fans to the new and improved JasonMcDonald.org, now coming to you via WordPress!